On the second day of Senate floor debate over legislation that would give local school districts the option of starting the school year before Labor Day, tempers boiled over. Defending his bill, Senate Education, Health and Environmental Affairs Chair Paul G. Pinsky (D-Prince George’s) could barely contain his anger Friday as he talked about Gov. Lawrence J. Hogan Jr.’s (R) executive order from 2 ½ years ago mandating that all schools open after Labor Day and close by June 15. 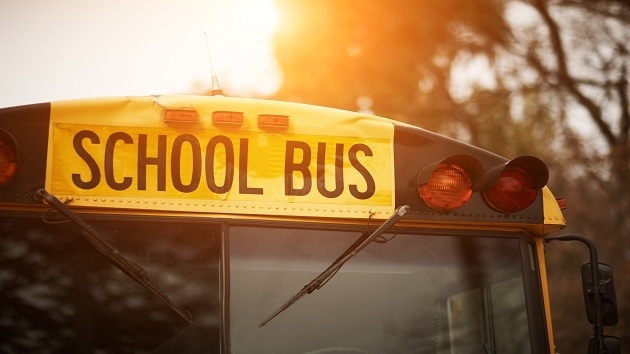 Pinsky and supporters of his bill have repeatedly contended that Hogan’s executive order robs Maryland school districts of their right to set the school calendar. That imagery offended State Sen. Robert Cassilly (R-Harford), one of several Republicans who have been defending Hogan’s executive order. “I rise in outrage,” he said, shortly after Pinsky spoke, accusing his colleague of comparing Hogan to racist Southern governors who stood in schoolhouse doorways in the 1950s and ’60s to prevent African-American children from entering. Senate President Thomas V. Mike Miller Jr. (D-Calvert) tried to calm the tensions, suggesting that while the debate had turned emotional, it hadn’t gotten out of bounds. But later in the day, Hogan spokeswoman Amelia Chassé returned to Cassilly’s criticism and offered a similar rebuke. In an interview Friday evening, Pinsky — one of the most senior and vocal progressives in the General Assembly — said he was surprised that Republicans would suggest he was comparing Hogan to racists like the late Arkansas Gov. Orval Faubus and the late Alabama Gov. George Wallace. “If he draws parallels from it, he draws parallels from it,” Pinsky said. He added that he was “explaining the implications of [Hogan’s] actions” — that with a signature, a governor could subvert the will of local school districts. “I think that offends a lot of people,” Pinsky said. The Senate gave preliminary approval to Pinsky’s bill on Thursday. Final debate is scheduled to resume on Tuesday. In a related development, Sen. Melony G. Griffith (D-Prince George’s) introduced a bill Friday mandating that Maryland schools educate students about the abolitionists Frederick Douglass and Harriet Tubman. That was an outgrowth of the debate over Pinsky’s bill on Thursday. Republicans, in a maneuver to try to get Democrats to vote against paying tribute to Tubman, introduced an amendment to Pinsky’s bill mandating a day of classroom instruction about Tubman. Democrats voted against it, anyway.